It is just three short years since January 25th 2011 and the first dizzying days of the mass protests at Tahrir Square in Cairo. Since then we have seen a worldwide uprising sweeping across entire continents from Tunisia to Thailand, from Bosnia-Herzegovina to Venezuela. In many ways these events have altered the political landscape more rapidly than anyone had previously thought possible. However, it is now time to ask the question ‘What really has changed?’ as the popular demonstrations in Kiev’s Maidan have now developed into a distinctly Cold War-esque scenario with the same old East-West power blocs squaring up for old fashioned military conflict. 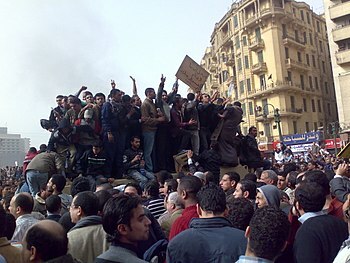 Back in the beginning of 2011, I wrote a piece for Reality Sandwich called ‘Revolution 2.0’ in which I pointed to Egyptian Google executive (and short-term political prisoner) Wael Ghonim, who was credited with creating the first facebook page to promote the protests in Tahrir Square. In a CNN interview on February 11, 2011, he coined the term ‘Revolution 2.0’ to describe the ‘Internet’ or ‘facebook’ revolution that was in the process of sweeping the Mubarak regime from power in Egypt. At that moment there was a palpable sense of optimism and opportunity provided by the newly widespread tools of mass peer-to-peer communication. Ghonim passionately articulated the view that social media would lead to a fundamental change in the ability of oppressive regimes to control the populace by controlling their media. ‘If you want to free a society, just give them internet access.’ said Ghonim. This claim wasn’t without substance. Ghonim’s Facebook page ‘We are all Khaled Said’ mobilised hundreds of thousands of young Egyptians in a way that was previously considered impossible. The sheer force of numbers took the Egyptian regime by surprise and the heavy-handed repression that followed was immediately visible on the world’s media through the eyes of thousands of phone cameras. Revolution 2.0 seemed full of promise, especially for the potential for non-violent struggle being possible through sheer people power. It felt like a ‘V for Vendetta’ moment when the people rose up as one and overwhelmed the impotent forces of the police and army unwilling to fire upon their own people. Read more via From Egypt to Ukraine: Revolution 2.0 has failed. What next? | Reality Sandwich. It can be safely argued that those four words, written by the French philosopher Michel Foucault in his discussion of the “panopticon,” were never more true than they were this year. Our visibility — defined as ubiquitous, networked digital connectedness — has at long last enabled an unprecedented surveillance state. In 2013, the negative consequences of our contemporary lifestyles were impossible to ignore. But not just for the most obvious reason — the avalanche of revelations about the depth and scope of government spying delivered by Edward Snowden, which seized the world’s attention from June onward. The surveillance society is hardly limited to NSA spooks. We are now open books for everyone to read: Our friends and our enemies and our stalkers. Our providers of email and texting and social media and advertising and entertainment. Our employers, our doctors and our teachers. We have never been more visible, never been more willing or able to open up every moment of our existence to the outside world. And in doing so, we have handed the watchers fantastic power. When you use something as seemingly innocuous as the flashlight app on your smartphone, it’s entirely possible that your location data is being gathered. The particular constellation of apps you use most often is exploited to build a profile for targeted advertising. Netflix makes note of every time you pause or fast-forward an episode of “Orange is the New Black.” Facebook is analyzing even the status updates that you delete before posting. Google Now knows when and where I am traveling, what packages are on the way to my house, and, of course, what I have been searching for recently. Your employer is gathering every conceivable data metric for evaluating your job performance. Read more via How to defeat Big Brother – Salon.com. federal bill that would legalize marijuana is currently the most-viewed piece of legislation on the official U.S. Congress website. Despite a lack of support among Congress, which has yet to address the legislation with a vote, the bill is listed as the #1 most-viewed on Congress.gov, beating out other popular legislative issues such as the economy, guns and unemployment. Tom Angell, chairman of the marijuana advocacy group Marijuana Majority, which posted a screenshot of the bill’s position on Congress.gov to Facebook last Friday, related the situation to the current divide between public and government opinion in an interview with The Huffington Post. He adds that while marijuana legalization is supported by 58% of Americans, the bill only has 16 co-sponsors, which is less than 4% of the U.S. House. Rep. Jared Polis, the bill’s sponsor, points out that the bill doesn’t mandate marijuana legalization by any state. 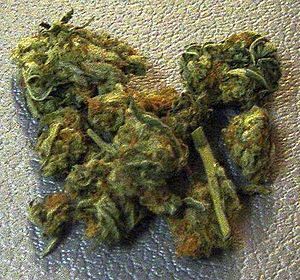 Rather, by removing federal prohibition, it would allow each state to determine its own approach to regulating marijuana. Read more via According To Congress.gov, Marijuana Legalization Is America’s Most Popular Issue – Leaf Science.